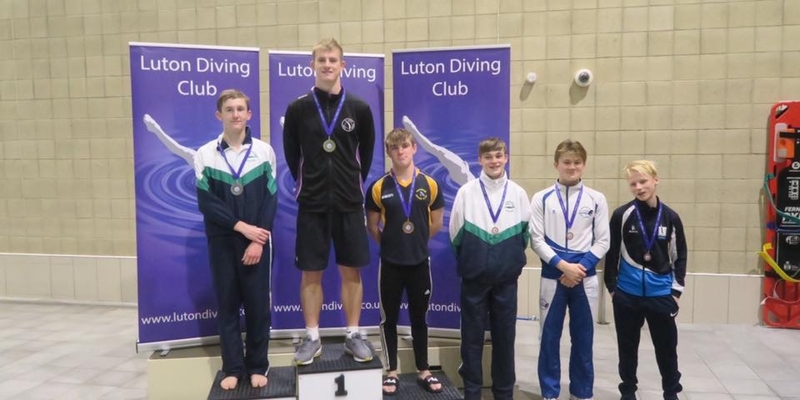 James West brought two gold medals home to Reading from the Luton Challenge Grand Prix Diving event. 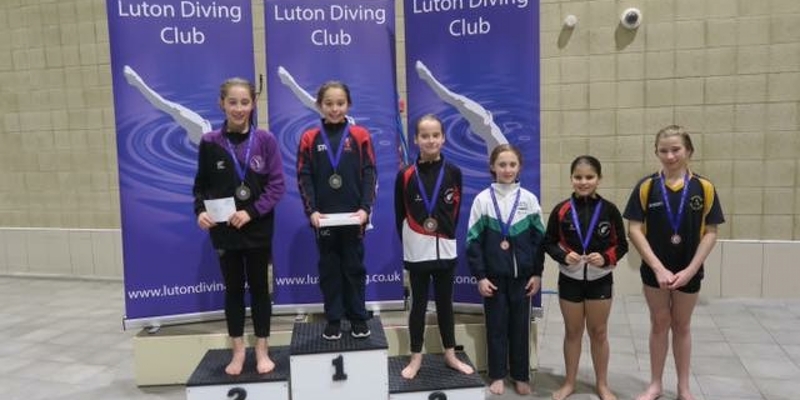 The Luton Challenge is the final club based competition of the year and requires divers to dive in their 2019 age category. As such it is a useful staging event giving divers a valuable opportunity to develop and test dive sets in preparation for Nationals next year. Albatross sent a small team and competed in the weekend events only of this Friday-Sunday competition. 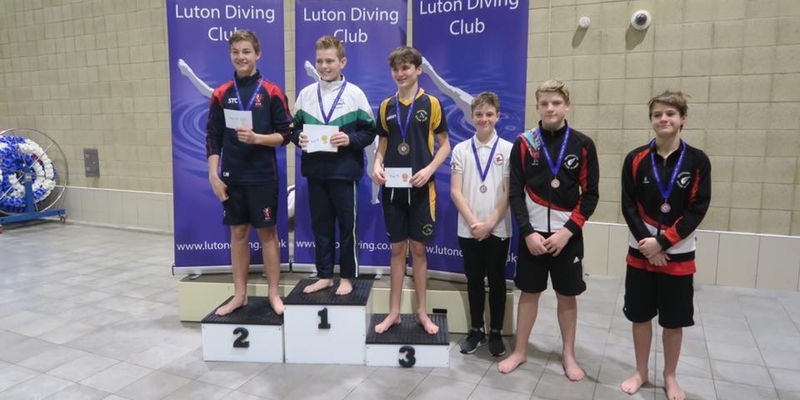 James West, who competes at junior elite level, showed his dominance in the 1m and 3m boys B events. James was a clear winner scoring 122.90 on 1m and 136.75 in the 3m final events. Albatross A group divers also stepped onto the podium. Ollie Breach took silver in boys A platform scoring 124.25. Teammate Ethan Jones who was diving in A for the first time was 4th (117.35). This was a reversal of fortunes from the preliminary round where Ethan finished 2nd (260.25) and Ollie 3rd (232.00). 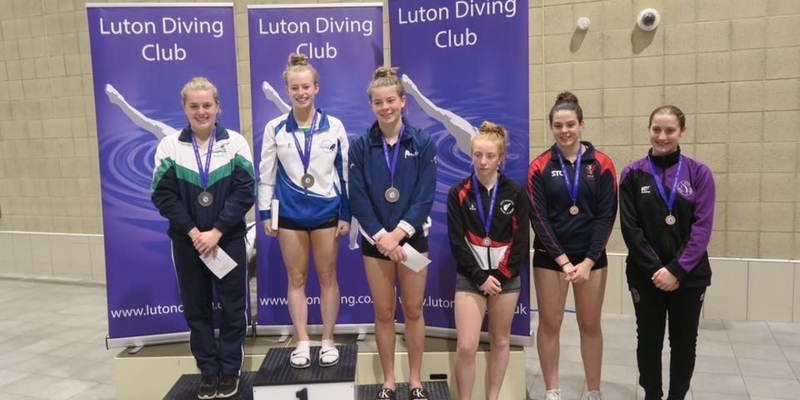 Charlotte West won silver in the girls A 3m springboard event (120.25). Charlotte finished 4th in the preliminary with 179.30 while Lizzie Cullen was 11th (152.00).